Posted on July 28, 2017 at 5:09 pm. 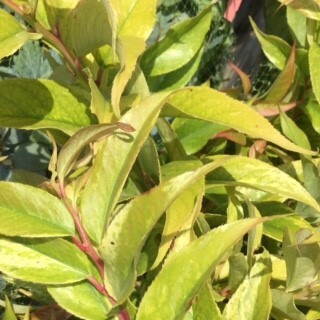 We are digging Viburnum c. ‘Compacta’, Carlesii, Juddi and Cayuga now. 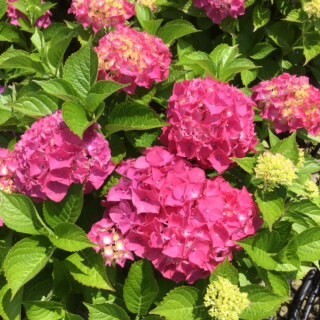 With a little care after they are dug, and monitoring the water, it is a great time to dig and plant them. They will root in well with the warm soil temperatures and won’t skip a beat. 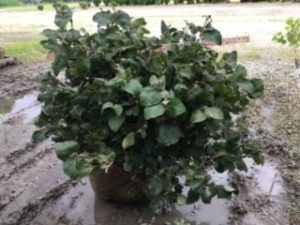 We put them in a wire basket to hold the roots tight to insure a successful transplant. 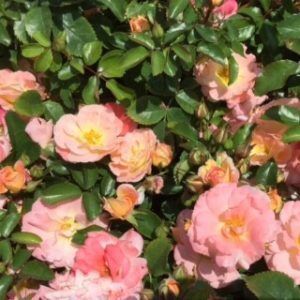 Need Rhodies? We have them. Posted on July 21, 2017 at 4:59 pm. 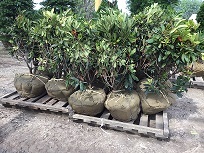 Rhododendron are one evergreens that are ready to dig and transplant well at this time of the year. 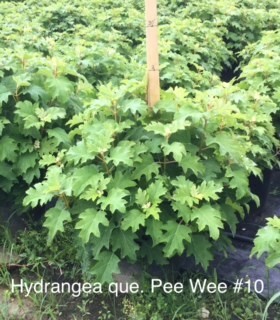 Check our availability as we have good quantities and varieties for your yard or project. Your sales person can give you the details to be successful. Posted on July 14, 2017 at 7:00 pm. 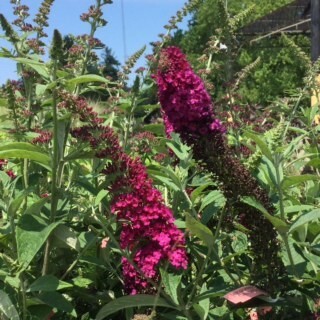 We have plenty in bloom to choose from whether it is a shrub or perennial. Add color to your next order and increase your sales! New items added to the availability. Posted on July 7, 2017 at 7:35 pm. Our container Hydrangea quercifolia cultivars are starting to reach the desired size and become available. 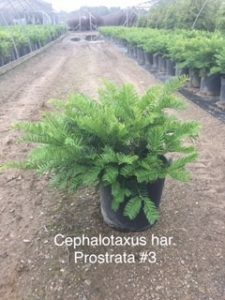 How about deer resistant Cephalotaxus har. Prostrata that are full and beautiful? We have just added more Juniperus vir. Grey Owl. There are plenty more “gems” on the availability. You will have to look through and see what else is ready to ship.